Greetings, fine readers! Right ’round 35 years ago today, the offspring of punk were charting a host of compelling directions. 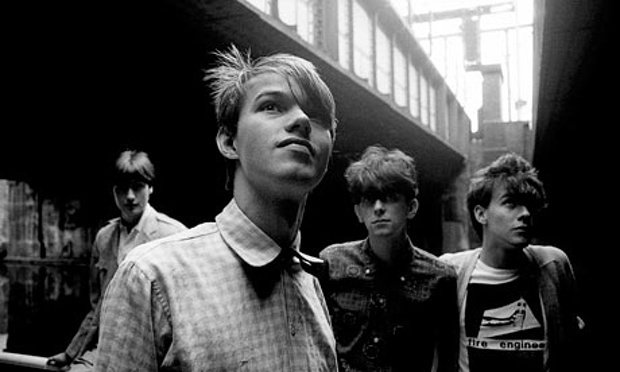 Sure, the loud-fast-snotty aesthetic was still the rage among the most full of rage, but the bloom was also on the New Romantics, by way of Orange Juice (among others). Against the gloom of the eyeliner and trenchcoat contingent, Edwyn Collins and crew charted a pop-friendly course, with cheery, cheeky lyrics, reverby rhythm guitar, and cymbal crashes of ebullience. Orange Juice, freshly squeezed. Photograph: David Corio/Redferns. Ah. That helps, doesn’t it? Enjoy the week! So, rude boys, rude girls, it’s been 35 years now, since The English Beat released single #4, “Best Friend,” backed with “Stand Down Margaret”–perhaps the most danceable anti-Thatcher tune of the era. (Nuclear anxiety produced some damn fine music, as did anxiety and angst toward Thatcher-Reagan writ large.) All proceeds from the tune went to the Committee for Nuclear Disarmament, which was one of a host of righteous causes the Beat supported back in the day. I caught Dave Wakeling and his 20-something ska all-stars under the name of English Beat back in 2000 at Cleveland’s Beachland Ballroom, and again in 2013. The first time ’round remains one of my favorite moments of fandom amidst my Cleveland rock’n’roll brethren. At the age of 32, I was among the youngest people in the crowd and, when they played the opening bars of “I Confess,” the 800+ of us started into pogoing. Mikey Mike, our surrogate Ranking Roger for the evening, went backstage, grabbed his video camera, and started recording us. I imagine it was the first time he’d seen that many people that old have so much fun before. Indeed, Cleveland rocks.